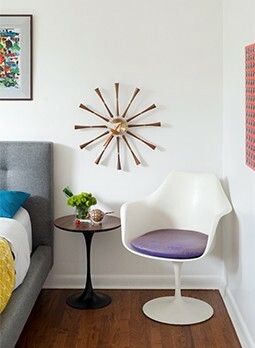 Originally from California, photographer Ryann Ford is a fan of Atomic Ranch and Midcentury Modern architecture and design. In fact, when she was living in California, she always went to Palm Spring’s Modernism week. Taking those influences with her, she moved to Austin, Texas in 2007, where she began her freelance photography career. En route to various shoot locations in Texas, her affinity for Midcentury Modern drew her to rest stops she saw in her travels. Attracted to their minimalism and uniqueness, she began to think the rest stops would make for a great photo series. “In 2008, in what was probably the worst part of the recession, I started to look if other photographers had done something similar,” Ryann recalls, “but instead I kept finding article after article on closed or demolished stops.” Faced with the recession, some states chose to cut costs by temporarily closing or altogether demolishing their roadside rest stops. For Ryann, this made the project of photographing rest stops more important to document and bring attention to these forgotten midcentury beauties. 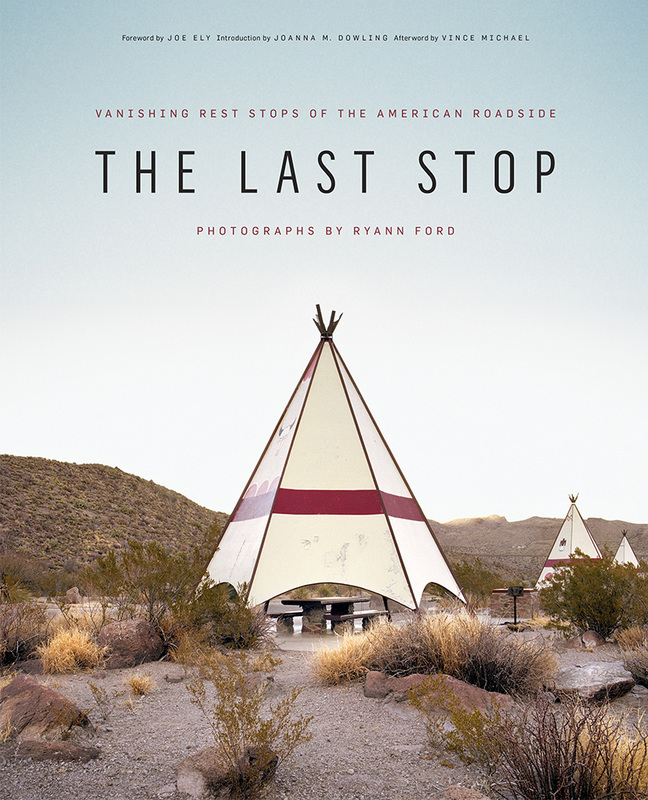 Over the next seven years, Ryann captured hundreds of these rest stops, mostly in the American South and Southwest, for a 176-page book called The Last Stop: Vanishing Rest Stops of the American Roadside. 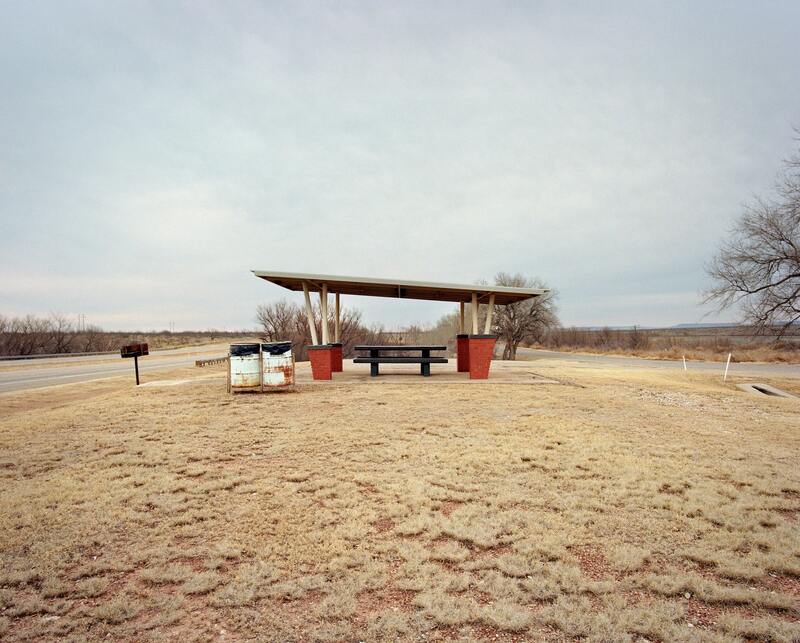 Ryann Ford’s photo of a midcentury rest stop near Justiceburg, Texas, included in her book, The Last Stop. Photo courtesy of Ryann Ford. Abandoned in the Oaks near Thackerville, Okla.
Ryann Ford’s photo of an abandoned rest stop near Thackerville, Okla., included in The Last Stop. Photo courtesy of Ryann Ford. Ryann says this stop was one of her top five favorites of the project. It’s an example of the regional flair several states incorporated into their rest stop designs to give motorists a sense of place. “Not a lot of states did this, but the ones that did did it very well.” This is partially why Ryann kept returning to stops in the South/Southwest, because states like Oklahoma, Texas and New Mexico incorporated regional elements into their rest stops’ designs. 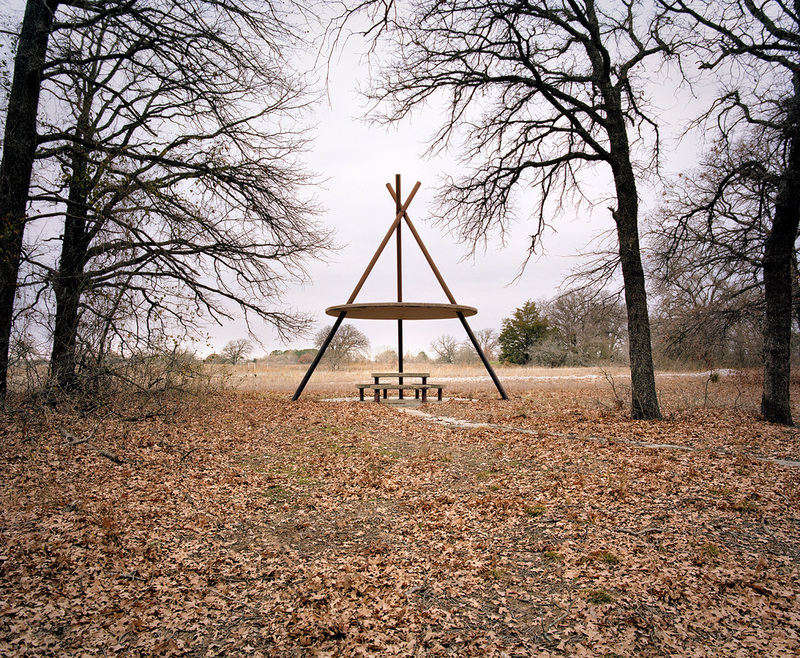 This one in Oklahoma has a midcentury minimalist take on the teepee. This stop is also an example of an abandoned rest area. It isn’t operating but still sits just off the freeway tucked into the oaks. When she came here, Ryann found fallen oaks braced up against the teepee shelters. The desolation of just a sheltered picnic table on a field of fallen leaves and bare oaks was so stark and beautiful, and a perfect opportunity for photography. Ryann loved shooting in the solitude of this scene. Ryann worked with Joanna Dowling on the preface setting the historical context of rest stops, and for more information on the history of rest stops, visit restareahistory.org. For more of Ryann’s gorgeous roadside photography, visit The Last Stop.